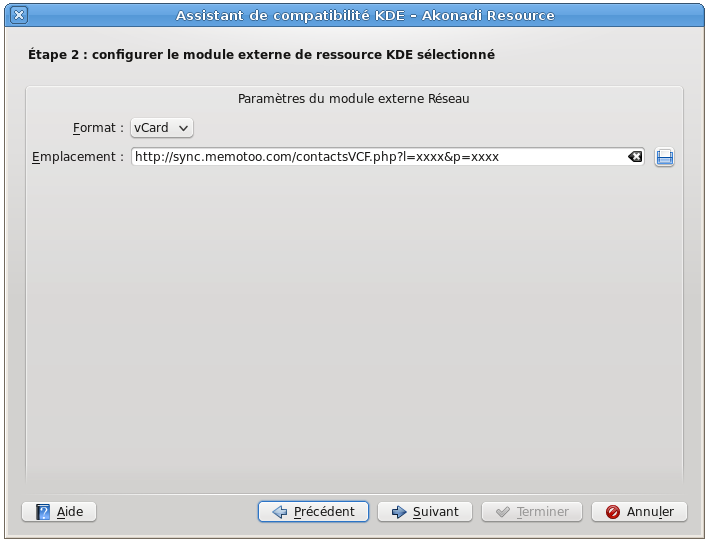 For users of Kontact , it's possible to work in interactive mode: when you modify a contact your Memotoo address book is updated directly (and vice-versa). 2. 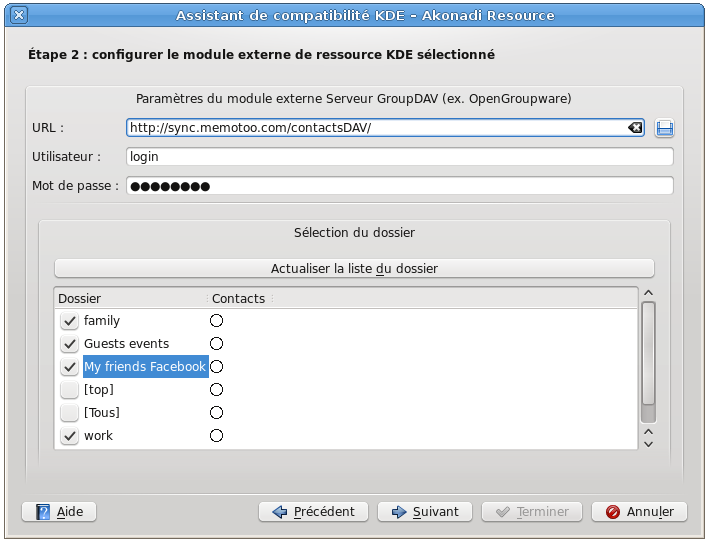 Select "GroupDAV server (e.g. OpenGroupware)"
3. 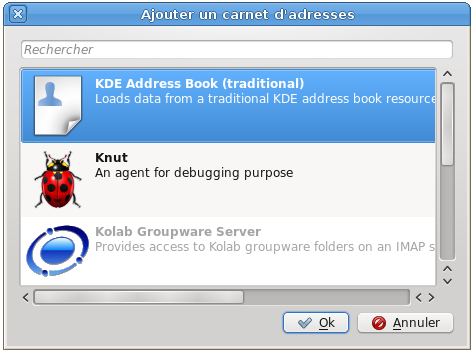 Fill in the fields and click "Update folder list"
Install the package "kdepim-kresources" to have the option "calenderar in remote file".